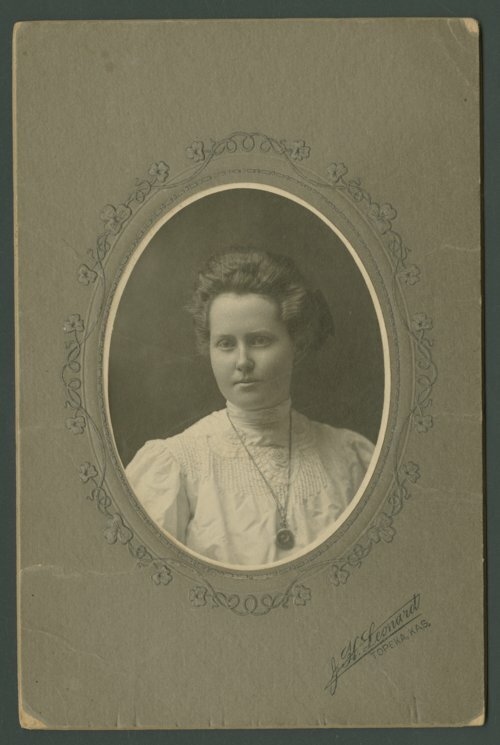 Here are twelve photographs of Bernice Boyles, the daughter of James and Julia Boyles. Bernice graduated from the University of Kansas and later taught math at Topeka High School for forty-three years. Six of the photographs show Bernice Boyles with students at unidentified schools.